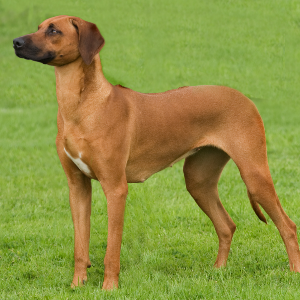 Rhodesian Ridgebacks enjoy dog sports such as agility, tracking, lure coursing, hunting, and obedience as well as jogging with their owner. May be reserved or aloof around strangers. 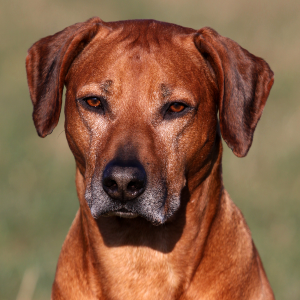 It’s hard to believe these sensitive and affectionate dogs were bred to be lion hunters, but it’s true. 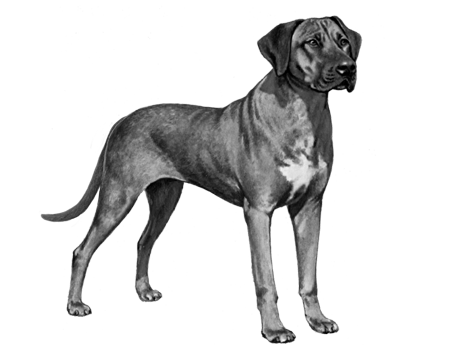 Back in 16th century South Africa, the Hottentots used them to hunt big game by tracking and trapping them. 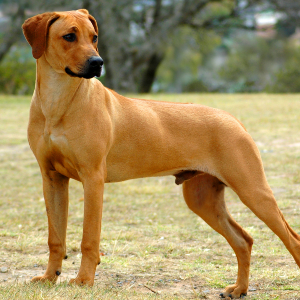 They have been crossbred with many other dogs in their time, including the Khoi dog, Greyhound, and Bulldog. 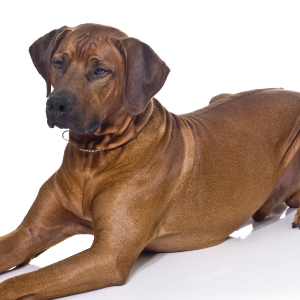 In 1877, Reverend Charles Helm imported two Ridgebacks to Rhodesia (now Zimbabwe), where they evolved into the breed we know today. 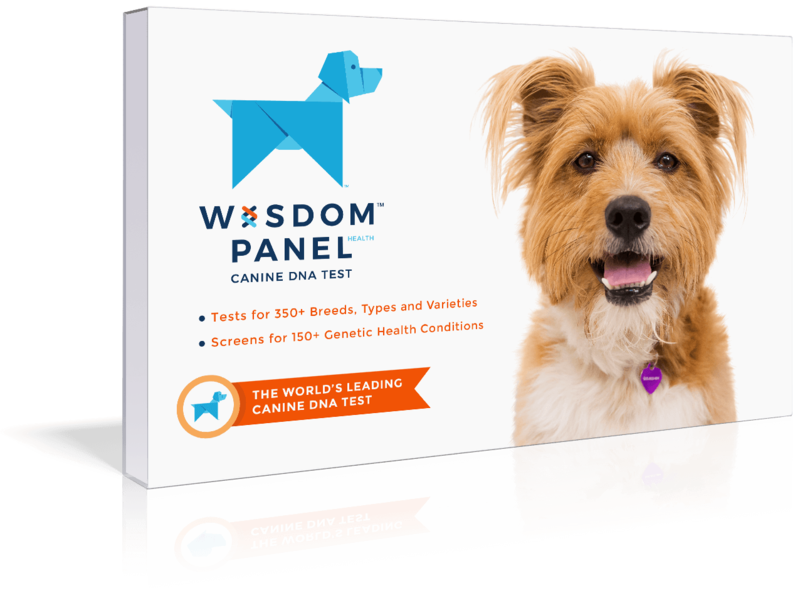 Their great distinguishing feature is a ridge of hair along their back that runs in the opposite direction to the rest of their coat. 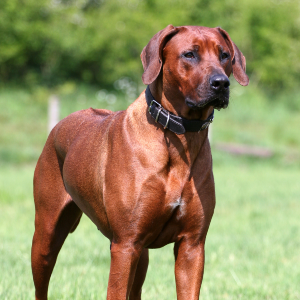 Tough and fearless, we’re not afraid to say we adore these distinct and unique dogs.